Moto2 championship leader Franco Morbidelli will move up to MotoGP next season with the Marc VDS team. Morbidelli, who won four of the opening five races of the season, had been linked to a graduation to the top class, with Pramac Ducati and an expanded LCR Honda team believed to be among his options. 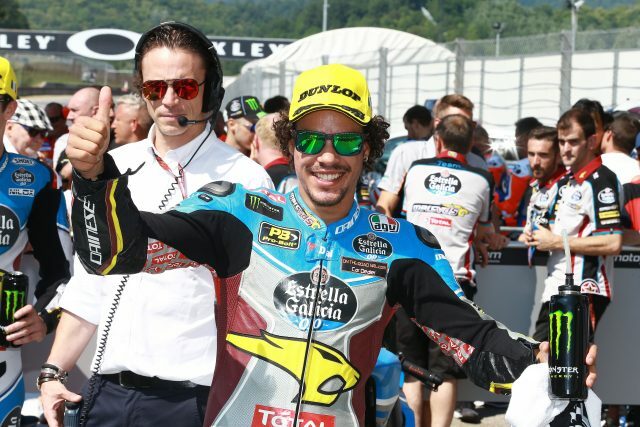 Instead he will ride for Marc VDS after team boss Michael Bartholemy confirmed that Morbidelli will remain with the Belgian outfit next season as he steps up to MotoGP. It means one of Marc VDS’s existing riders, Jack Miller and Tito Rabat, will be forced to move on from the squad in 2018. Miller is in the final year of a three-year agreement with Honda and has made it clear his preference is to stay with the team, but he is also believed to have held discussions with Pramac Ducati. Rabat meanwhile has come under increasing pressure to retain his seat, although he has been strongly linked with a potential future with the Avintia Ducati team. Morbidelli’s current team-mate Alex Marquez will stay in Moto2 for another season, and will be joined by Moto3 graduate Joan Mir.